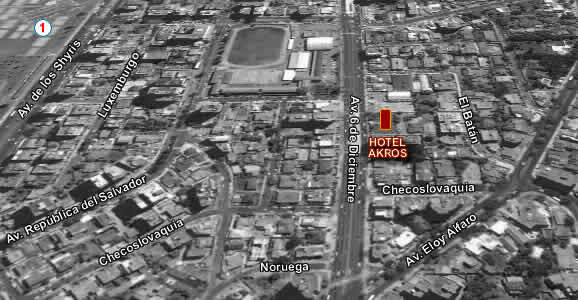 Akros Hotel is located north of the city, in the financial and business center, a short distance from major shopping malls in the city. From the hotel will have easy access to the largest city park, La Carolina Quito Convention Center. Mariscal Sucre Airport is just 10 minutes. Enjoy the comfort of a first class hotel offers modern facilities and quality care in a special atmosphere. Akros Hotel has 150 rooms and suites all equipped with exquisite and luxurious bathrooms mobilidario, intelligent security system, clock radio, hairdryer and international direct dial telephone.